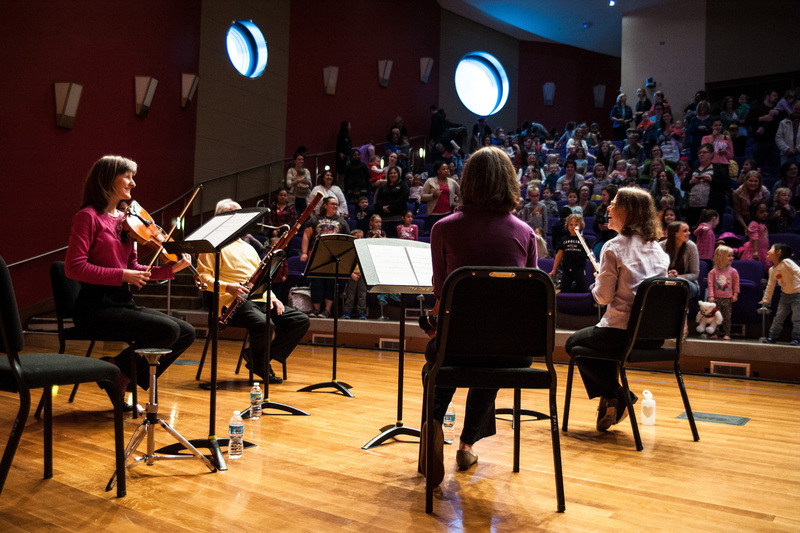 The Teddy Bear Concert Series introduces preschool & kindergarten students (ages 3-7) to the orchestra through story, movement, and live music. ISO violinist Victoria Griswold has written each of our stories, one of which is now a picture book! 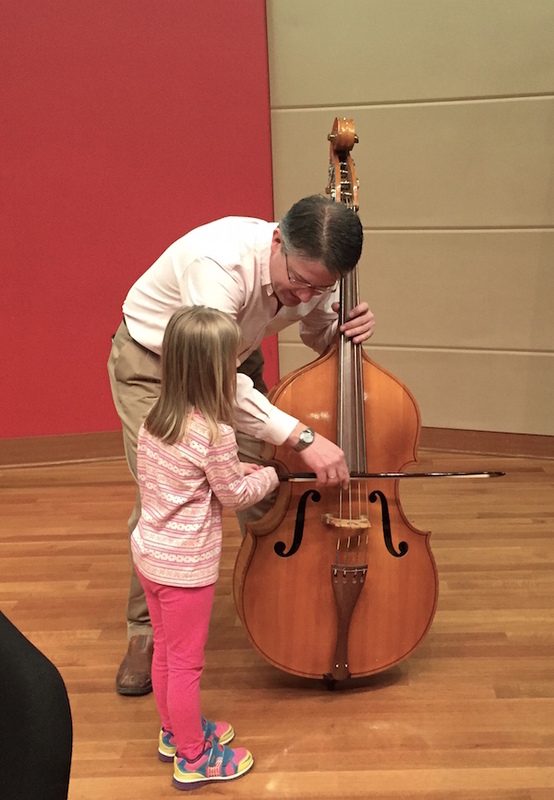 Each performance features five musicians from the Indianapolis Symphony Orchestra and narration by Perry Accetturo of the ISO Learning Community. 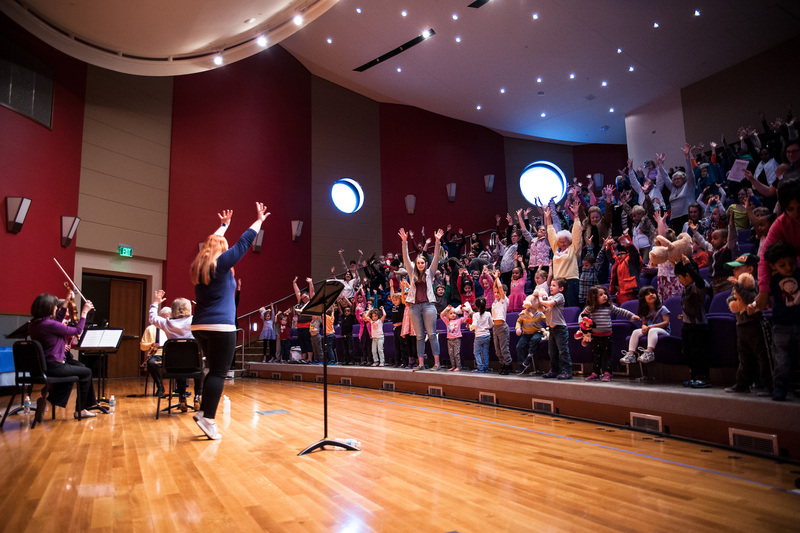 We are thrilled to celebrate the 5th Anniversary of the Teddy Bear Concert Series by performing all of our stories throughout the 2018-19 season! The Giant's Violin tells the tale of a young boy who discovers a giant violin in his attic! The Big Note features the adventures of a young boy as he searches through a symphony orchestra to find the source of the big note that he hears. The Garden Symphony follows a ladybug’s search through the garden for her own special song. Monkey's Jungle Jam is the adventure-filled tale of a spider monkey's search through the rainforest for musical friends. 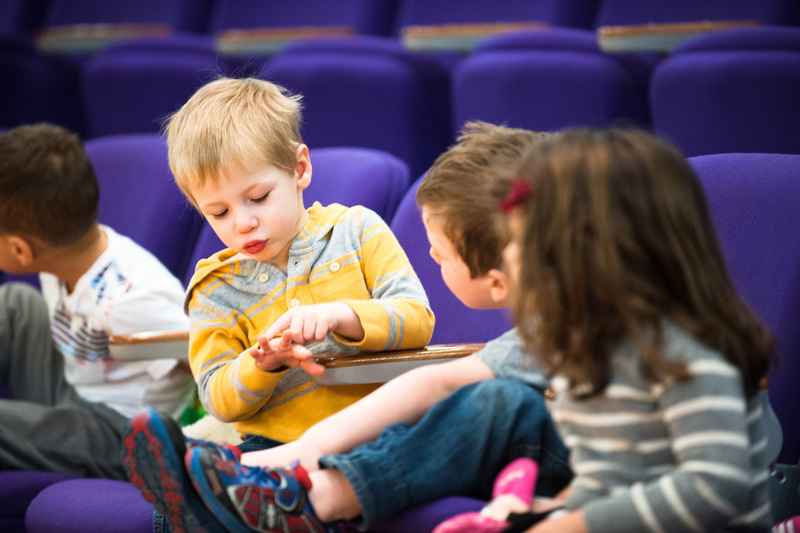 Children will be invited to hop like frogs and sway like trees while they listen to unusual instruments from the symphony orchestra. 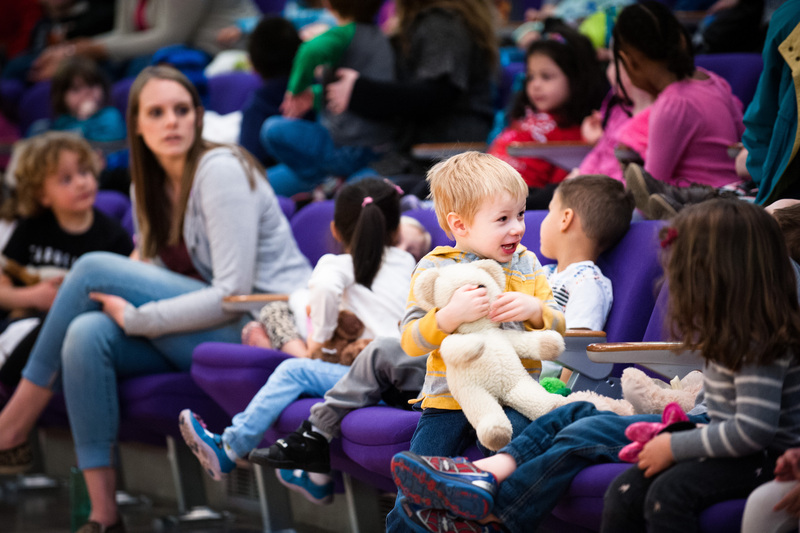 All Teddy Bear Series performances are free and open to the public, but please consult individual libraries to see if reservations are required. 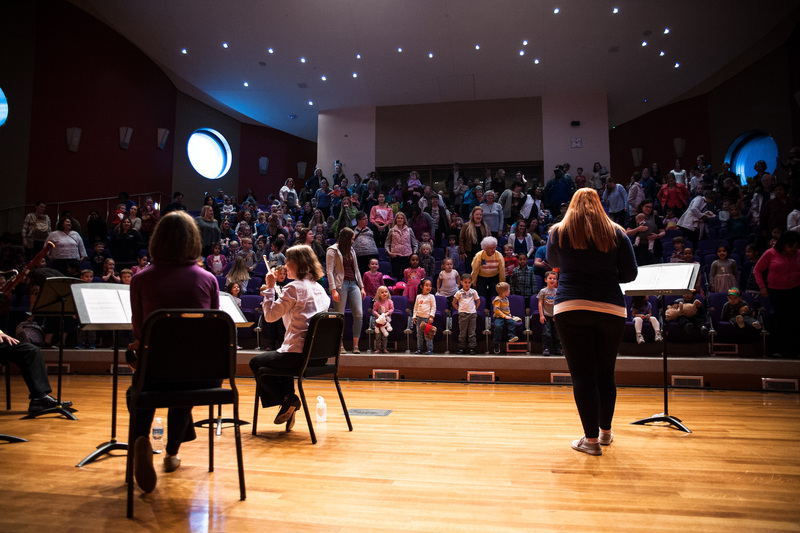 The Indianapolis Symphony Orchestra received the Indiana Library Federation Collaboration Award for the Teddy Bear Series. Victoria Kintner Griswold accepted the honor on behalf of the ISO. This award recognizes a corporation, organization, individual library, or a group of libraries that has made significant contributions in the efforts of promoting library services in a community, region, or at the statewide level. We received the award at the 2018 Indiana Library Federation Awards and Honors Banquet on November 13, 2018. You can now take The Garden Symphony home with you! Books are now available! Our beloved Teddy Bear Series mascot has revealed his new project! 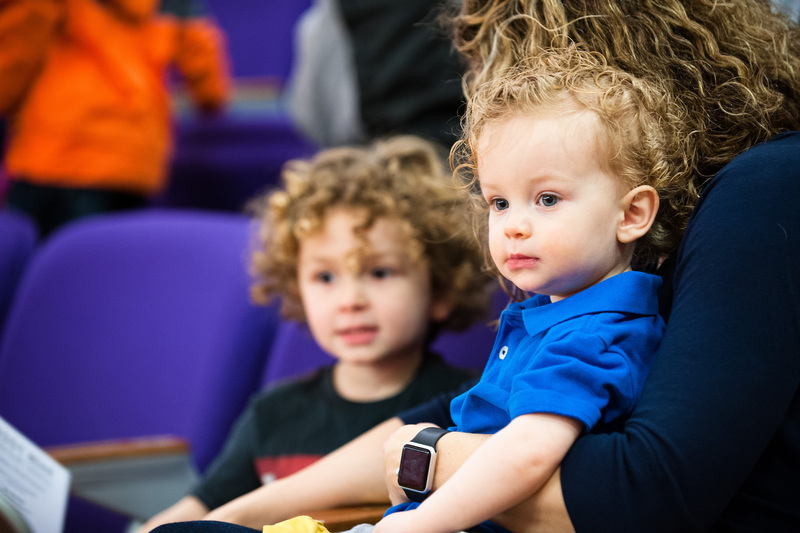 Join Mr. Bearnstein's Birthday Club for free today, and your child will receive a personalized birthday message from Mr. B during the month of their birthday! You can also follow Mr. B on Instagram to stay up-to-date on the latest Teddy Bear Series news!